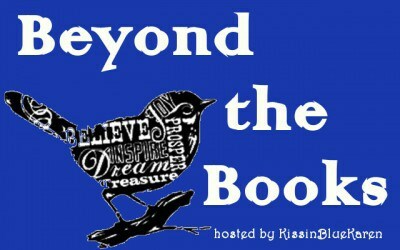 Today I'm linking up with Karen over at KissinBlueKaren for her fantastic Beyond the Books Linkup. Each week features a new non-bookish prompt and it's so fun to see everyone's answers. Today's prompt is Blogs I Visit Every Day. Now I'm not one to do anything in moderation so my blog list is ridiculously long. There are so many blogs that I really love that it was so hard to narrow down the list and I know I'm leaving out some of my favorites but here are 12 I know I'll be checking daily! Carstairs Considers - Mark is one of my favorite cozy mystery pushers. He's introduced me to a ridiculous number of new to me series and is really dangerous to my TBR! Books, Movies, Reviews, Oh My! - Stormi is another dangerous book pusher. Not only does she tempt me on cozies but she's talked me into to at least considering books that with more of a horror slant. 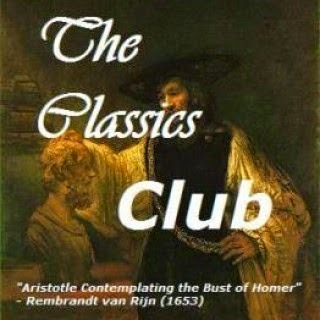 Socrates' Book Review - Another favorite cozy pusher. She reads some really great series! Musings of a Bookish Kitty - Our tastes don't always line up but she has introduced me to tons of new books and I love hearing about what she and Mouse are up to. Herding Cats and Burning Soup - Not only does this blog title mirror how my day is usually going but Anna is always reading something entertaining. And when she's not reading she's trying to get the Herd to behave or cooking yummy food or coming up with interesting projects. Caffeinated Book Reviewer - I discovered Kimberly's blog when I first started blogging and my TBR completely exploded. She reads a wide variety of genres and manages to talk me into books I would never have thought of reading. Quinn's Book Nook - If I'm looking for a romance Quinn is my go-to person. She is always finding a new series that I must add to my TBR. A large percentage of that list is her fault! The Bookwyrm's Hoard - While Lark reads a lot more fantasy than I do (though she's convinced me that there are several I need to try) she also introduces me to all kinds of mysteries and romances that I simply must read. BookHaven - Greg has convinced me I need to read more science fiction. Plus he's always showing really fantastic old covers of old mysteries or science fiction that I absolutely love seeing. Book Date - Kathryn is always reading the most gorgeous books and introducing me to must read books and authors that I hadn't come across before. Modern Mrs. Darcy - I actually didn't become a regular reader of this blog until I discovered Anne Bogel's What Should I Read Next podcast that I love. The Bloggess - Jenny Lawson never fails to crack me up and I always enjoy seeing what project she's up to next! What blogs do you visit daily? Aren't we lucky to have so many sources for book recommendations? I sometimes remember the days when I used to just wander the library stacks randomly picking books off the shelf. Great list, Katherine! Lots of blogs I love here too! Honored to be included. I am off to visit a couple of these. I know quite a few of them but... must check out the romance one. I like MMD too, she has such enthusiasm for books. Ooh I'm honored to be on that list! Thanks Katherine!!! Thank you so much for including me on the list. I visit many of the other ones too. Thanks for this list. I’m going to look up some that I hadn’t previously known about. There are a lovely selection of blogs here, Katherine:). Thank you for sharing them.